Microsoft bringing Office apps to the iPhone? Apple and Microsoft are enemies on the PC side where they compete in the OS market, but it hasn't stopped the two companies from collaborating on a number of projects, including MS Office. And according to a new report, it may happen again. Fortune claims that Microsoft has spent a significant amount of time with the iPhone SDK and has determined that it may be a suitable framework within which to develop Office and other Microsoft products. Considering the fact that Microsoft is the Mac's largest developer outside of Apple itself, the idea doesn't seem like too much of a stretch. "We do have experience with that environment, and that gives us confidence to be able to do something," Tom Gibbons, corporate vice president of Microsoft's Specialized Devices and Applications Group said. "The key question is, what is the value that we need to bring?" "It's really important for us to understand what we can bring to the iPhone," he said. "To the extent that Mac Office customers have functionality that they need in that environment, we're actually in the process of trying to understand that now." 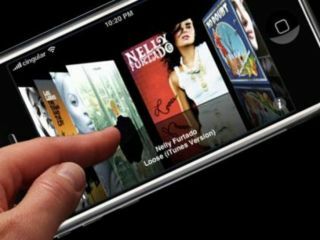 Microsoft did not say when it would release native iPhone and iPod Touch applications and declined to comment on whether or not it was even developing software for the platforms. But it has talked about it and the idea makes some sense; look for more on this story quite soon.